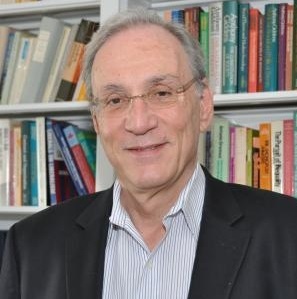 Michel Rosenfeld, Co-Director of the ISCP, is University Professor of Law and Comparative Democracy, Justice Sydney L. Robins Professor of Human Rights, and Director of the Program on Global and Comparative Constitutional Theory at Cardozo. He is one of the leading comparative constitutional law scholars in this country and internationally. Professor Rosenfeld’s many books include Affirmative Action and Justice: A Philosophical and Constitutional Inquiry (Yale Univ. Press 1991), which in 1992 was named outstanding book on the subject of human rights in the U.S. by the Gustave Meyers Center; Just Interpretations: Law Between Ethics and Politics (Univ. of California Press 1998), which has been translated into French and Italian; Comparative Constitutionalism: Cases and Materials (3d ed., West 2016) (with Baer, Dorsen, Mancini and Sajo); The Identity of the Constitutional Subject: Selfhood, Citizenship, Culture, and Community (Routledge 2010); Law, Justice, Democracy and the Clash of Cultures: A Pluralist Account (Cambridge U. Press 2011); and Democracies sous stress: les defis du terrorisme global (“Democracies under stress: the challenges of global terrorism”) (Presses Universitaires de France “PUF” 2016) (with Antoine Garapon). He is the co-editor, with Andras Sajo, of The Oxford Handbook of Comparative Constitutional Law (Oxford Univ. Press 2012) and, with Susanna Mancini, of The Conscience Wars: Rethinking the Balance between Religion, Identity, and Equality (Cambridge Univ. Press 2018), among many other volumes. His work has been translated into Chinese, French, Greek, Hebrew, Hungarian, Italian, Portuguese, Russian, Turkish and Spanish. Professor Rosenfeld is a founding member and president of the United States Association of Constitutional Law, the founding editor-in-chief of the International Journal of Constitutional Law (I•CON) from 2001 to 2014, and was president of the International Association of Constitutional Law (1999-2004). 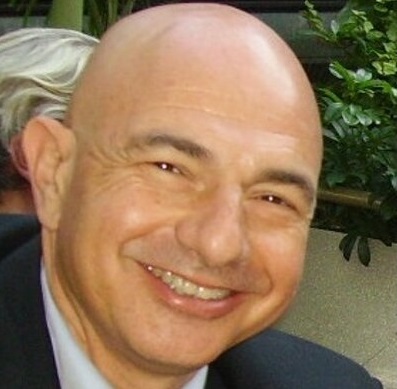 Professor Rosenfeld has held distinguished visiting lectureships at universities throughout the world. Among his many honors, in 2004 he received the French government's highest and most prestigious award, the Legion of Honor. 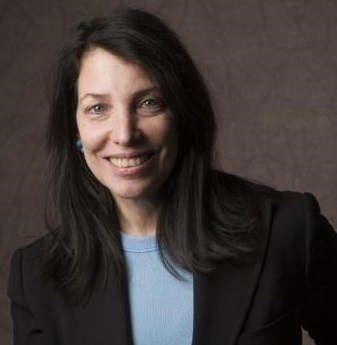 Suzanne Last Stone, co-director of the ISCP, is University Professor of Jewish Law and Contemporary Civilization, Professor of Law, and Director of the Center for Jewish Law and Contemporary Civilization. She has held the Gruss Visiting Chair in Talmudic Civil Law at both the Harvard and University of Pennsylvania Law Schools, and also has visited at Princeton, Columbia Law, Hebrew University Law, and Tel Aviv Law. She is a graduate of Princeton University and Columbia University Law School and was a Danforth Fellow in 1974 in Jewish History and Classical Religions at Yale University. Before joining the Cardozo faculty, Stone clerked for Judge John Minor Wisdom of the Fifth Circuit Court of Appeals and then practiced litigation at Paul, Weiss, Rifkind, Wharton and Garrison. In addition to teaching courses in Jewish Law and Political Thought and Jewish Law and American Legal Theory, she regularly teaches Civil Procedure, Federal Courts, and Law, Religion and the State. Professor Stone is the co-editor-in-chief of Diné Israel, a peer reviewed journal of Jewish law, co-edited with Tel Aviv Law School. She is also on the editorial board of the Jewish Quarterly Review. She is a member of the board of the Jewish People Policy Planning Institute, the International Association of Jewish Lawyers and Jurists, and the International Summer School in Religion and Public Life. Professor Stone writes and lectures on the intersection of Jewish thought, legal theory, and the humanities. Her publications include: "In Pursuit of the Counter-text: The Turn to the Jewish Legal Model in Contemporary American Legal Theory" (Harvard Law Review); "The Jewish Conception of Civil Society," in Alternative Conceptions of Civil Society (Princeton University Press); "Feminism and the Rabbinic Conception of Justice," in Women and Gender in Jewish Philosophy (Indiana University); and "Law Without Nation? The Ongoing Jewish Discussion," in Law Without Nations (Stanford University Press). Her work has been translated into German, French, Italian, Hebrew, and Arabic. Ari Mermelstein, Assistant Professor of Bible at Yeshiva University, serves as the assistant director of the ISCP. Professor Mermelstein holds a PhD from NYU's Department of Hebrew & Judaic Studies, a JD from NYU Law School, and a BA from Yeshiva College. He is also the assistant director of the YU Center for Jewish Law and Contemporary Civilization at Cardozo Law School. Dr. Mermelstein's first book, Creation, Covenant, and the Beginnings of Judaism: Reconceiving Historical Time in the Second Temple Period, was published in the Supplement Series to the Journal for the Study of Judaism (Brill, 2014). His current research agenda is devoted to the study of emotion in ancient Judaism. He has edited several volumes, including Jews and the Law (Quid Pro Press, 2014) and The Divine Courtroom in Comparative Perspective (Brill, 2014). Avinoam Sharon is the Editor-in-Chief of the ISCP Blog. A former senior military attorney in Israel, he was a Graduate Fellow in the Consortium in Jewish Studies and Legal Theory at Cardozo and is currently a doctoral student in Talmud and Jewish Law at The Jewish Theological Seminary of America. His reasearch focuses on National Security Law, the Law of Armed Conflicts, Talmud and Legal Theory. His most recent publications are Height Theology: The Theological Use of Lexical Ambiguity in the David and Goliath Story, Jewish Bible Quarterly (2017), and Peacekeepers: Will They Advance Any Prospective Arab-Israeli Peace Agreement?, Fordham Int'l Law Journal (2014). He is a graduate of Columbia University, holds an M.A. from the Jewish Theological Seminary of America, and holds a law degree from The Hebrew University of Jerusalem.